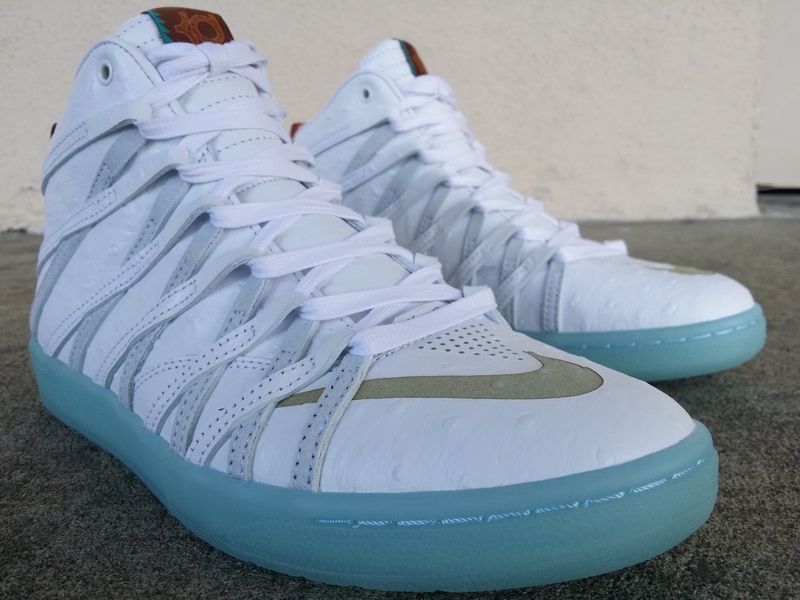 Nike KD VII LifeStyle "Ostrich"
LifeStyle models from KD, Kobe, and LeBron have been releasing throughout the years for a while know, but the more they release the better they become. As we remember the first tribal model it hit a Wheat tone, making a Big Foot look alike theme, well the second model is here and the KD hit you with a winterized Cool tone, with a Yeti field. It features a Ostrich leather body, hits of cream, with a tongue KD logo, and a tribal print back heel, finishing with that Icy bottom sole. These kicks will be freshly available tomorrow morning to make sure you come to our doors to trick or treat and cop your kicks. Remember to LIKE, SHARE, and COMMENT, Stay Fresh ! Nike AF1 / AM1 "Flax Pack"
Pharrell Williams x Adidas Originals "Tennis Pack Part II"